Bania is a 4 year old male Spanish Mastin. A stunning big girl with super markings she looks a little like a St Bernard. This is Bania who stands at 60 cms and weighs 45 kgs. 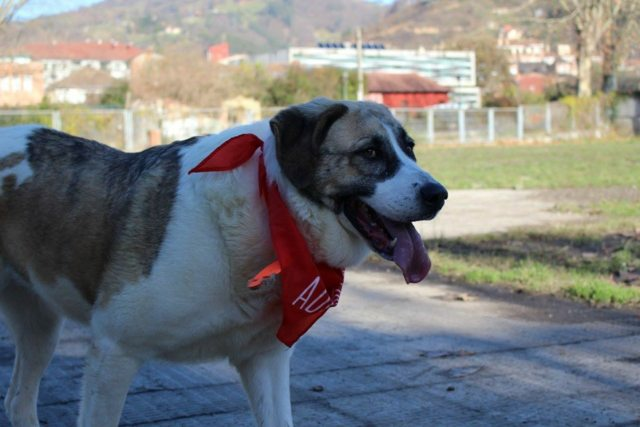 Baina is lovely with people, very affectionate. She loves lying on the floor to get belly rubs! She also loves treats! so can be easily trained with treats. She loves getting affection from the pound workers and the volunteers, she adores going for walks. She is an active girl and she can pull a little when she first goes out as she is so happy, but she can also be calm. She is fine with children, calm and gentle. She loves to go out and about but also likes to relax. 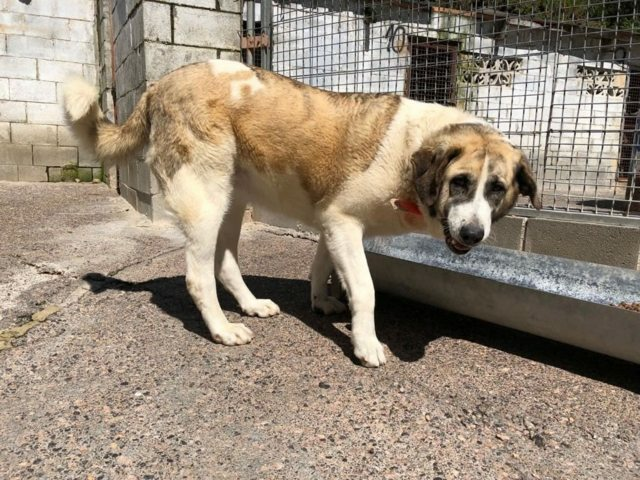 She has been taken for days out to spend time in the community outside the pound and she has been fine in the car and meeting new dogs and people. She is a lady with character: she is the leader of her little pack. She shares her kennel with male dogs and she is the boss! She is not aggressive at all, she loves playing and running with other dogs and she’s never had a fight. She has no problems with other dogs, but she would not like to live with a very dominant dog who would bully her. 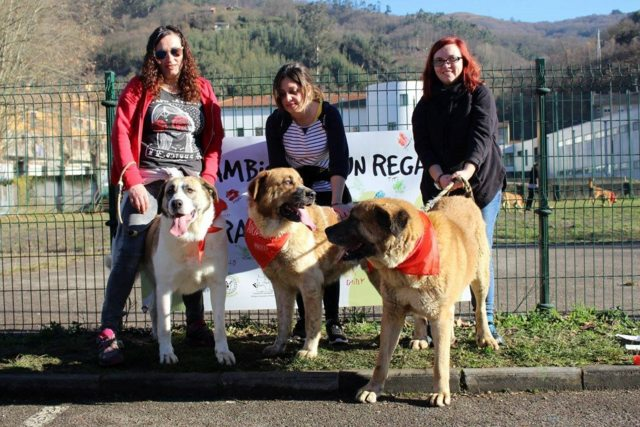 She has never met cats, since being in the Spanish shelter. 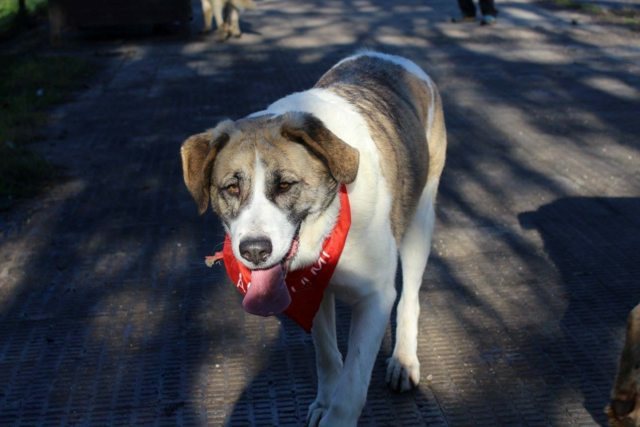 Current location is in Spain can travel to the UK once she has a home to go to. 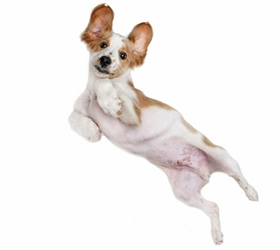 Vaccinated, wormed, flea treated, Spayed, Microchipped, Pet Passport, FREE 4 weeks Pet Insurance to be activated from the link on our website, Any known health issues NON KNOWN.